This club is for those who love adventures and travel.So please join and share your experiences. You need to be a member of Adventure Club to add comments! Sungai sedim yang berarus deras dan berjeram serta mempunyai ekosistem hutan adalah tempat yang sesuai untuk aktiviti riadah lasak.Program aktiviti utama yang boleh di lakukan adalah berkayak atau berakit di arus deras(White Water Rafting) di sepanjang 15 kilometer. Destinasi ini merupakan antara 5 destinasi terbaik di Malaysia bagi kegiatan berkenaan.Berkelah,mandi-manda,berenang dan perkhemahan di kawasan yang di khaskan turut menjadi keutamaan di destinasi ini di samping penganjuran kursus atau bengkel kecemerlangan diri dan berkumpulan.Destinasi ini di kenali sebagai Tapak Perkhemahan di Raja Kedah. Kedudukan destinasi ini terletak di sempadan antara Daerah Kulim dan Baling. 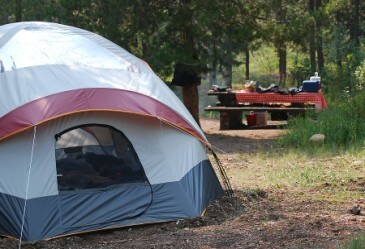 Camping can be a fun and cheap family activity or vacation. But you do need quite a few supplies to manage life in the great outdoors. Find out what you'll need to pack for your next camping adventure, and remember to check with your campground to see if they supply items like picnic tables and firewood, and whether fully functional restrooms are available. 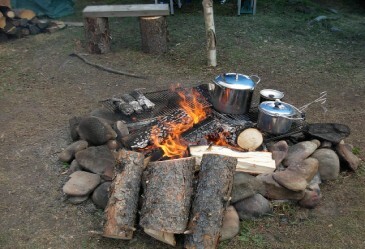 Consider doing a test-run in your backyard if your family is new to camping. 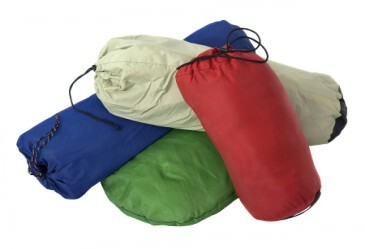 Bedroll: Thing to sleep on is nice, you can also hide things and roll things up in a bedroll, or along with some assembled framework can be a makeshift stretcher. Alternately or additionally you could have a blanket which serves a similar purpose and you can use as a makeshift sack if needed or to throw over someone's head in a Dirty Trick maneuver, etc. Belt pouch More storage, useful especially if you need to drop your backpack but take any essentials with you like potions. Crowbar The non-thieves' lockpick. :) When someone's failing that disable device check, can be a good way to bypass things especially if you've got a strong character. Makes a good improvised weapon. Useful for other tool needs as well. Dagger Good lightweight backup weapon, can be thrown if no other ranged weapons are at hand. Folding pole This is a folding 10 foot pole--easy to carry and very useful. Good to find pit traps, poke at corpses to make sure they are not zombies, tie a string to for a makeshift fishing rod, Poke into murky pools to help test the depth, use as a measuring stick (the folding part would help with that as well), use as a lever (assuming the folding bits lock), and it does your taxes. Okay, maybe not the tax part, but you might be able to drive away the tax man with it. Grooming kit I like the flavor of having one, plus you can assume you have soap (useful for cleaning off stuff or marking things). Actually you could also assume there's a small mirror in it and leave off the mirror off the list separately, which would make it 10 gp cheaper. Other implements could come in handy. Hooded Lantern I like the hooded lantern because you can control the direction of the light and hide the light in a pinch if you need to (say if you don't want your light source giving away your position). If you have a character who can cast light they can cast it inside the lantern for a good source of light, which can then be hooded for the reasons noted above. Mess kit In addition to the camping flavor, this assumes you have a cup and small pot which may come in handy for other things, as well as a cooking knife which may make a good improvised weapon if you need it, or of course just to cut things. Mirror Good for seeing around corners, signaling for help, and making sure your hair's not out of place before you meet the empress. Oilx5 As noted before, and I'm glad it was convincing--in addition to being fuel for your lantern, it can be spread on the ground or used as a splash weapon in a pinch. This is especially handy if you encounter swarms, which can't be hurt by normal weapons, but can be a common low level enemy. Pour it on the ground and light it, and they can't cross that square, or throw it if you need distance. While you can attack with a torch as an improvised weapon to deal fire damage, you can't get range. There is a chance of course that oil won't light, and alchemist's fire thus is better if you've got it, but it has its uses. Waterskin To hold your requisite beverages, and you can refill it at that cool healing fountain you found. One thing is -- some of the useful tools, you could give one to a different party member. So one person gets the crowbar, one gets the rope, one gets the pole, one gets a hammer and pitons, or whatever. Re: So, what's in the Standard Adventurer's Kit? A quick search under "boy scouts backpacking" revealed the following RL list.